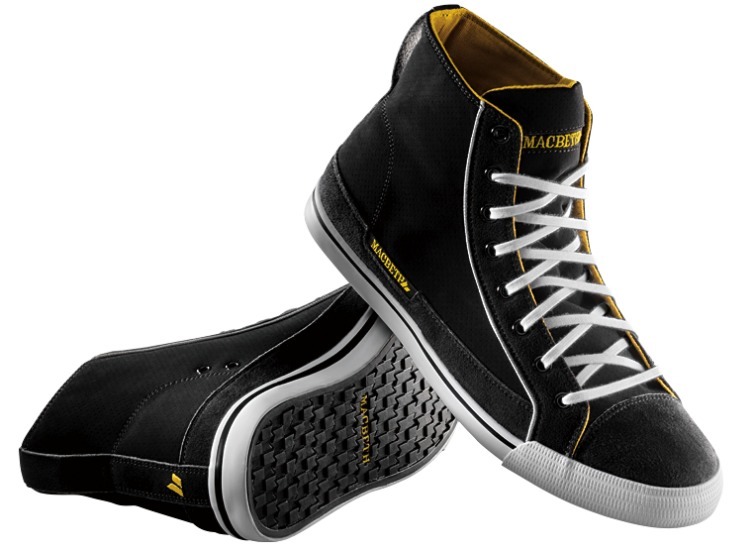 Macbeth Schubert has the classic skate high top of days past in premium Vegan materials to keep you shredding in style. The Upper is a combination of synthetic suede on the toecap, eyelet area, midsole and a perforated synthetic nubuck. keeping your feet well guarded on the board, and no too sweaty. 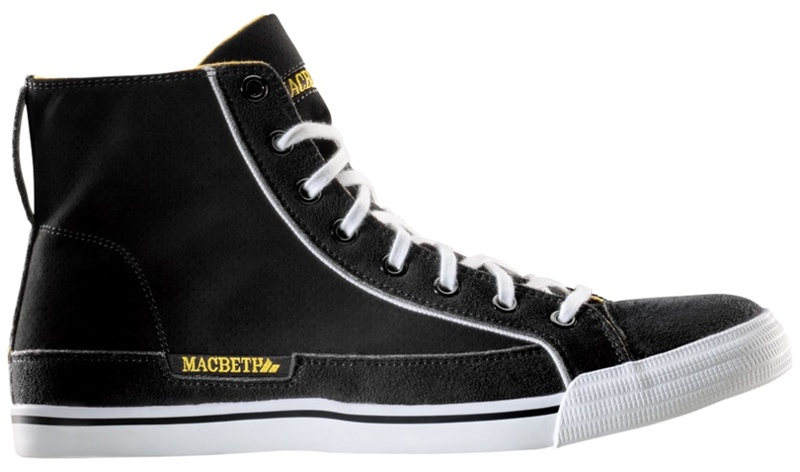 The soles are vulcanized with the standard macbeth ribbon tread. Lightly padded tongue as you would expect from such a hi-top. I dig that they put a loop on the back of the collar. We posted these back in March, dig the style and choice in materials. Our readers LOVE Synthetics.